A heritage listed house within the Bowral conservation area that used to be a B&B is nestled behind a rhododendron tree. 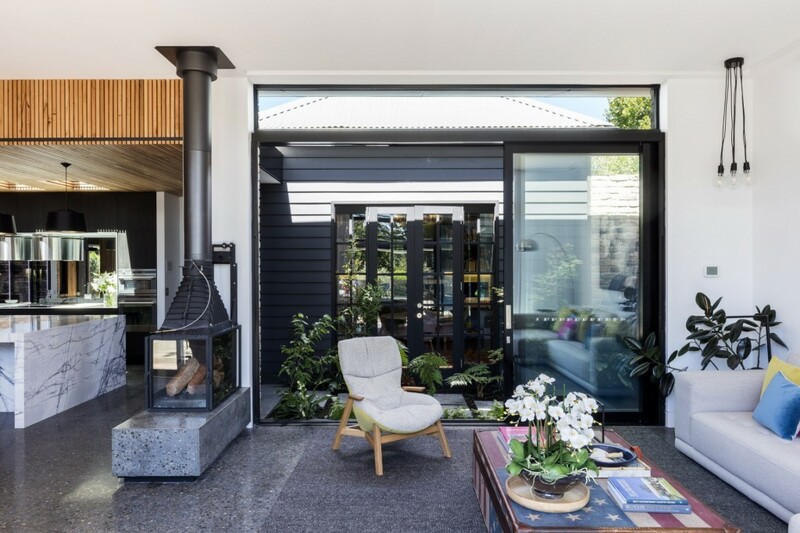 An extension to the back of the cottage, that cannot be seen from the front of the home, has an industrial chic feel which makes for a superb contrast to the original front section of the home. 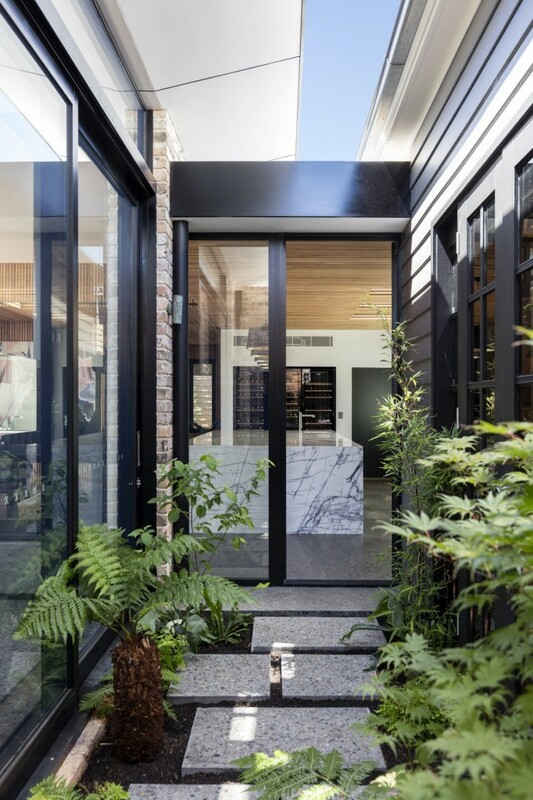 Architect Tina Tziallas of Tziallas Omeara Architecture Studio said, ‘We had to marry contemporary design, thermal performance, heritage and a very complex build on quite a restrained site’. 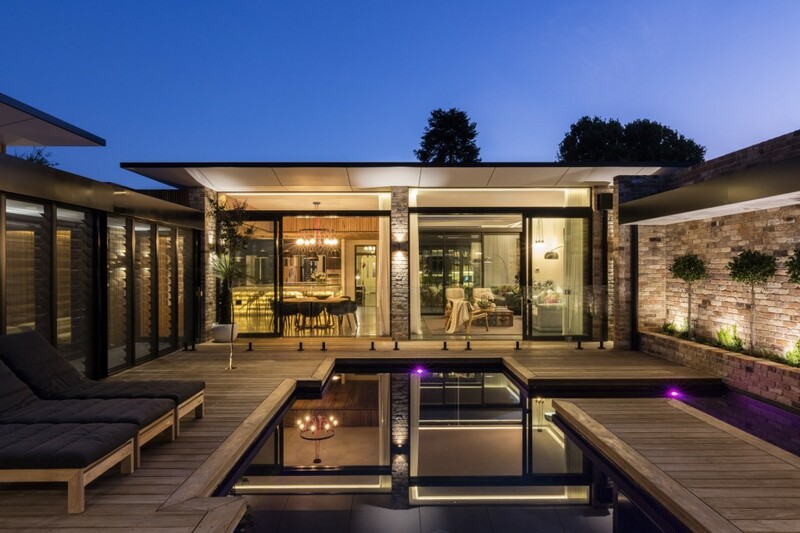 This made Bundaroo a very dynamic project, where Tina worked closely with the client, the builder and AWS window fabricator, Hanlon Windows. Hanlon Windows were involved in the renovation from the design stage. The brief was for large windows and doors including an extensive amount of glazing for maximum natural light. 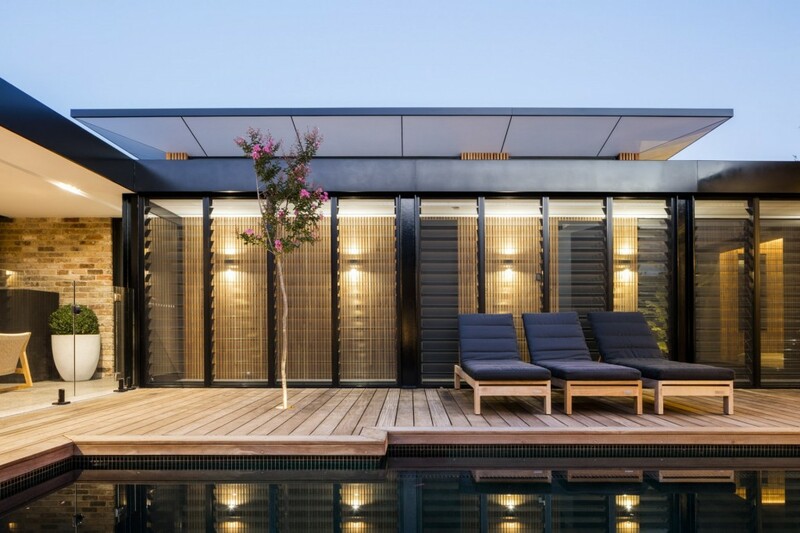 Being located in the Southern Highlands where a cooler climate is certain each year, the AWS ThermalHEART™ product was specified. An impressive louvre gallery was envisaged as an indoor/outdoor space that visually connects the guest wing to the rest of the house and cross ventilation was key. At certain times of the day, the louvres create amazing shadows along the polished concrete floor; an artwork that is constantly changing as the day unfolds. At either end of the louvre gallery are external thermally broken doors. This ensured that at those times of the year when it’s cold, performance of the louvred space does not impact on the performance of the rest of the home. With an array of modern fixtures, a great feature of the home is the heating system in place, a geothermal system. A geothermal heat pump extracts heat from the ground which is then put to use for the heated floor, the swimming pool and the hot water system. 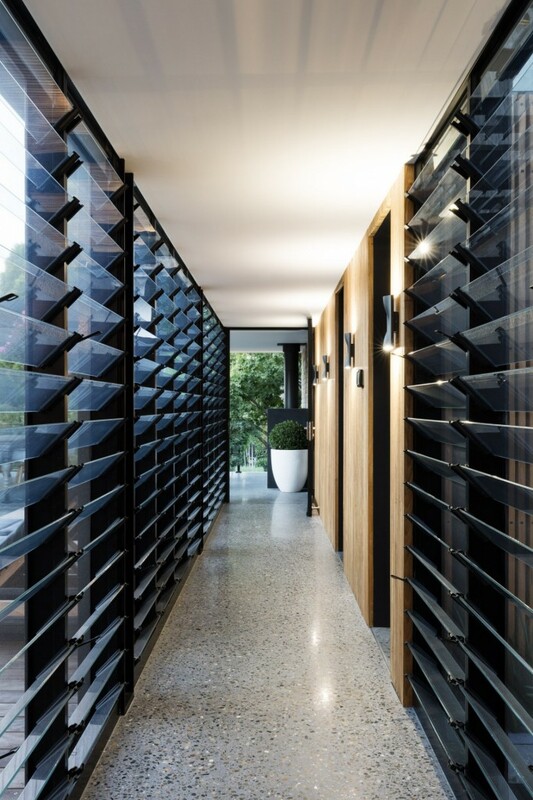 This design idea supports the reason why ThermalHEART™ was chosen for this energy efficient home. 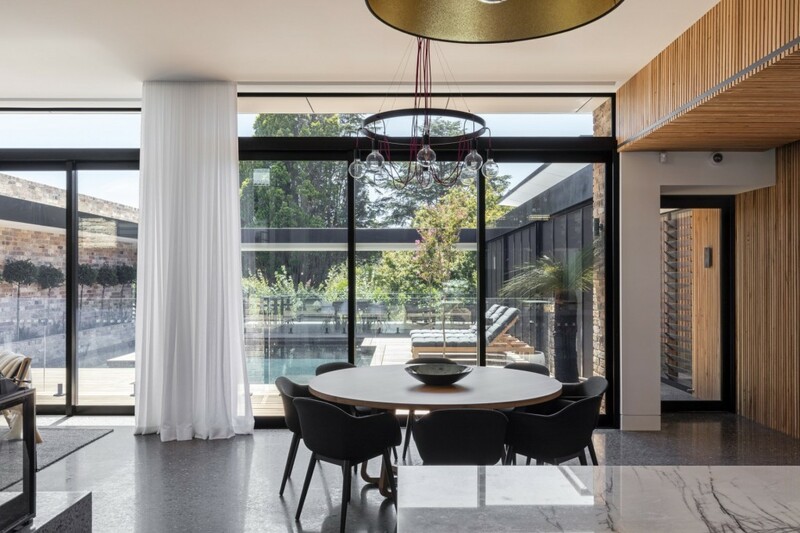 With a rich palette of materials, exquisite interior styling and the most energy efficient products on the market, Bundaroo is an apt example of a successful, contemporary, sustainable home in the Southern Highlands which is changing the design world in regional Australia.